My interest in childbirth began when I was eight years old and was present for the birth of my own brother. I thought it was amazing and that my mother was so strong! I saw the birth of my sister four years later. 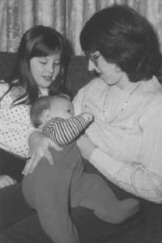 My mother was a La Leche League Leader so we received many phone calls from mothers in need of support and information. I went to NC State and studied industrial engineering but after working in that field for several years, I found myself engrossed in childbirth books. I had been searching to find a career that I felt more passionate about but instead of seeing the obvious answer right in front of me, it took the suggestion of a good friend to discover that being a doula would allow me to earn a living doing what I love. I became certified as a birth doula in 2006 (the CD in my credentials stands for Certified Doula) and as a postpartum doula in 2008 (the PCD stands for Postpartum Certified Doula) by DONA International, the largest doula organization in the world. I was also certified as a Hypnobabies® Childbirth Hypnosis Instructor (HCHI) and Hypnobabies® Childbirth Hypno-Doula (HCHD) by the Hypnobabies Network in 2007. In 2016, I followed in my mother's footsteps and became a La Leche League Leader. As I began my doula career, I also began my quest to become a mother myself. My husband, Jeff, and I struggled to conceive and had to rely on assisted reproductive technology. This gave me a new insight when working with clients who had struggled to get pregnant themselves. That was actually a great benefit to me in the long run, as was working as a doula without being influenced by my own birth experience. I became proud of the non-judgmental support I was able to give to my clients. I finally became a mother in 2011 when my son, Elliott, was born at home. Not only was I able to experience childbirth using the Hypnobabies method that I had taught for years, but I was able to feel the support and love of having my very own birth doula and many, many postpartum doulas. I had an amazing birth. It was very smooth, easy, and comfortable. It was followed by every breastfeeding problem I’ve ever heard of (and some I never knew existed). It was a whirlwind of an experience but being a parent continues to amaze me. My son is my most precious treasure. My goal now is to help other parents feel as supported and educated as I felt when I became a parent. When parents receive those two things – support and information – at such an important time in their lives, a beautiful confidence develops. In addition to advanced doula trainings, I completed Reiki level I and II trainings in 2010. 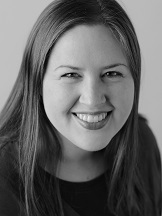 I have served as a doula at births at most of the hospitals in Raleigh, Durham, and Chapel Hill, as well as the Women's Birth and Wellness Center, Baby + Co., Womack Army Medical Center, and at clients' homes. The births I have attended have taught me so much, and it is always an honor to be invited to be present at the birth of a child. I love working with families and the feeling that I can help make their birth experiences beautiful. My son, Elliott, born February 2011. My mom, baby brother, and me in 1984.